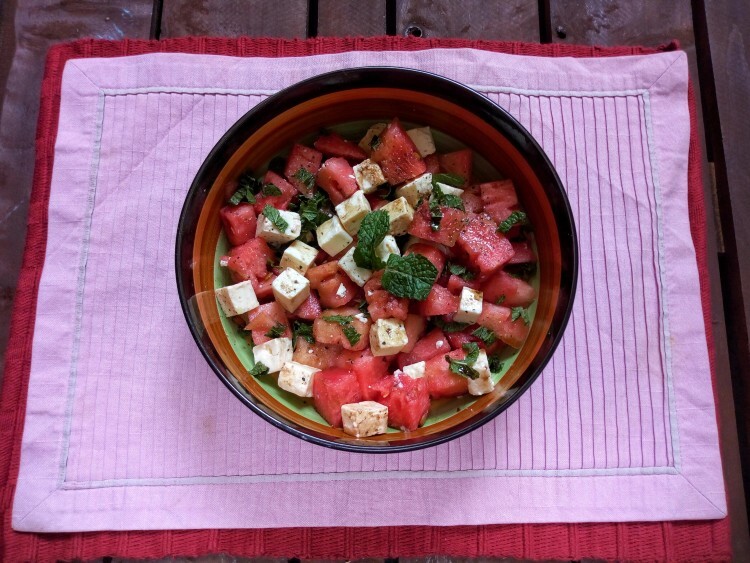 Minty Watermelon and Feta Cheese Salad with Balsamic Vinegar - Leo Tunapika? If you know me personally then you know I absolutely love watermelon. At times at parties my friends even try to get me to steer clear of the watermelon tray since I tend to just chow them down. What’s not to love about these sweet (if you get a great one) and hydrating fruits? This salad is easy to whip up and requires just a handful of ingredients. 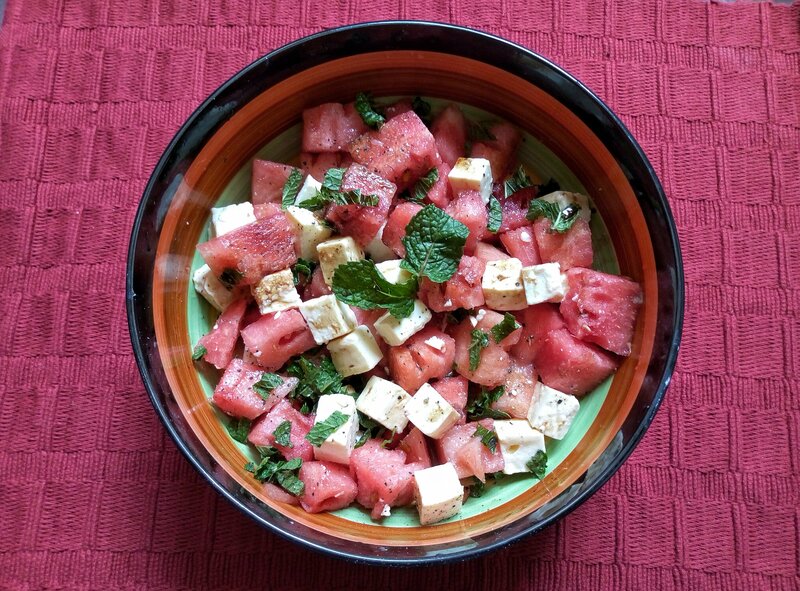 I enjoy trying new and exciting pairings and feta cheese with watermelon is one of them. Cut up the watermelon into cubes. No need to remove the seeds if the don’t bother you. 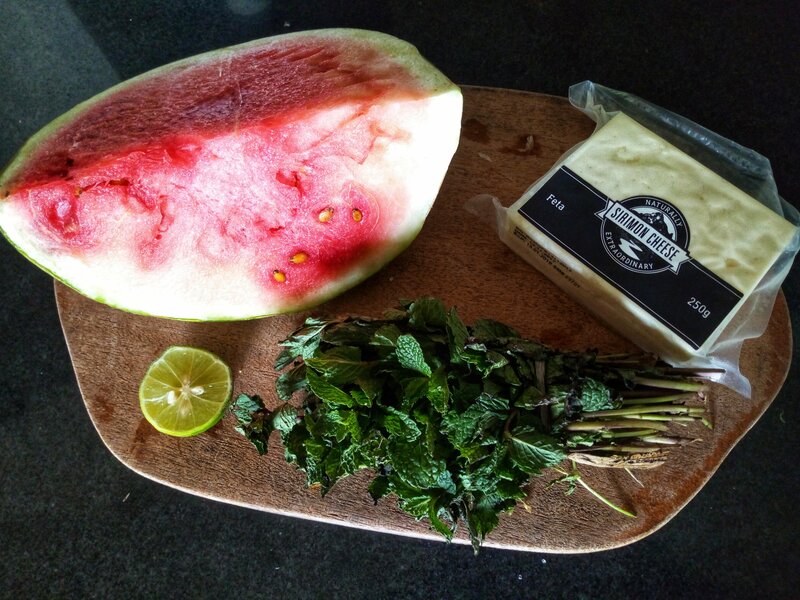 In a bowl, add the cheese, watermelon and roughly cut up mint leaves. Squeeze over juice of one lime, a dash of black pepper and sprinkle over a tablespoon or so of balsamic vinegar. The vinegar is optional. And there you have it, minty watermelon and feta cheese salad. 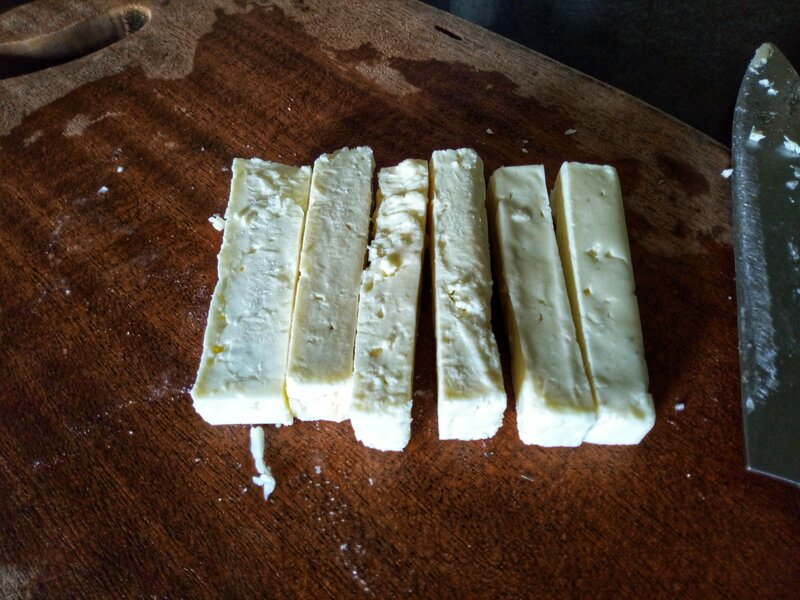 The salad is perfect on it’s own or with some barbecue. 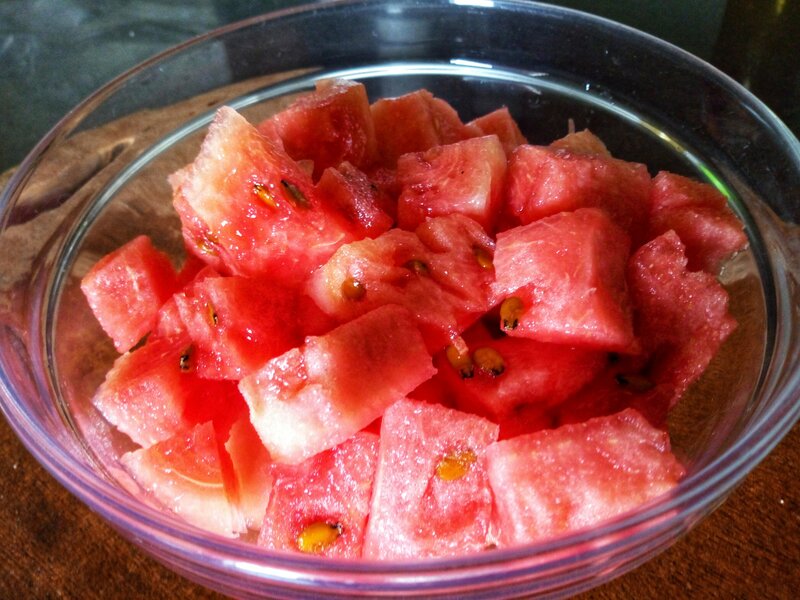 Do you eat watermelon with the seeds or do you pick them out? 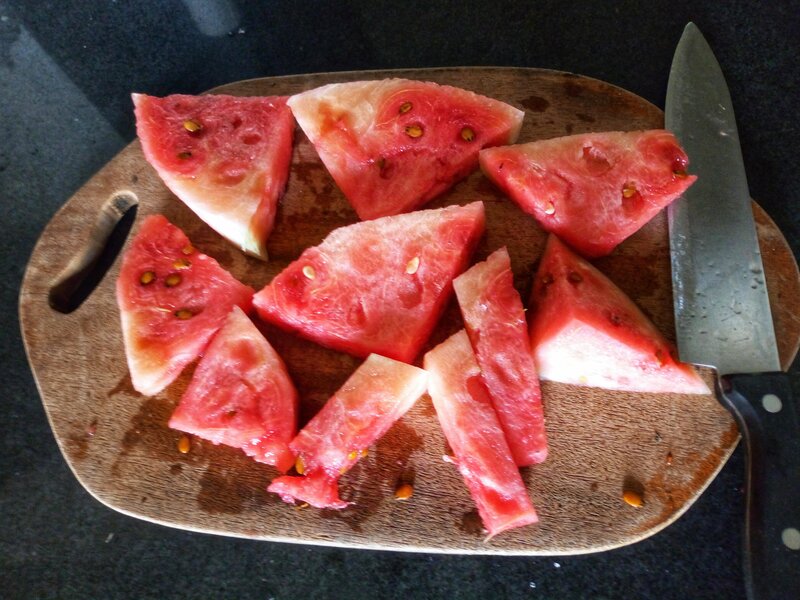 Happy new year Twiri.I chew mine my water melon seeds. Apparently, they are packed with zinc and potassium goodness. Chewing, lol Jenny. You’re funny.